Our product is your maximum Profit! As a customer, you and your requirements are at the focal point and we will accompany you from the first ideas to the finished product. A team of competent specialists provides the security of your investments. As a service provider, we have been developing and producing electronic systems for more than 10 years and while at the same time assuming the project management, system design, production, configuration management and quality assurance. The employment of the most modern technologies and systems and a dependable partner warrants your economic success. Being a familiy-owned company, we bear particular responsibility in the association with our employees. The tasks are highly sophisticated and diversified - flexibility, fun and motivation take place on a high level. It is our constant aim to deliver the highest quality solutions to our customers, on time. This is supported by our striving and ambition to always be ahead of the competition by one step. 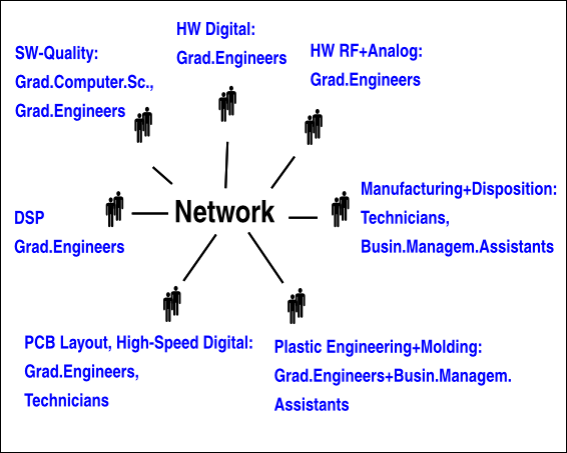 A network of qualified specialists is the base for our wide spread know-how and delivers highest quality solutions. The company was formed in January 2001 by Dipl.-Ing. (FH) (graduated engineer, university of applied science) Alois Huber. This was followed by years of intensive work as a freelance developer for digital signal processing and embedded systems. At the beginning of 2005 the development of machine and subassemblies, the production including project management, quality assurance, disposition, configuration management and service began. Since 2008 a professional service for the layout of printed circuit boards is part of the company. This is based on High-Speed Digital Design and warrants EMC-orientated results right from the start. In March 2010 the company exhibited at the international leading trade fair Embedded World 2010 for the first time. This appearance was supported by the communal stand for young businessmen sponsored by the BMWi (federal Ministry of Economics and Technology).